Biblical preachers have the best job on earth: we get to announce good news! So here’s a thought to ponder . 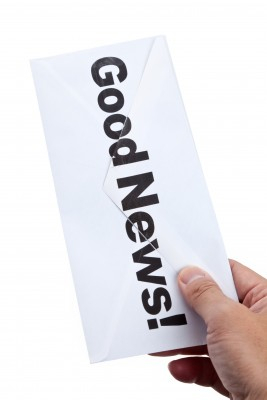 . . do we preach good news and good news? Sermon 1: Gospel Proclamation. The preacher preaches the gospel. Good. Problem is, the vast majority of those present are already believers. He keeps telling us how much we need to be saved and how we cannot get there without God doing the saving. Fair enough, we agree. He preaches a message that would fit in a tent meeting, but seems entirely irrelevant to the congregation sitting before him. Everyone hopes that someone is present who is not yet a believer. It would be appropriate for them. The sermon ends and a significant number of people leave the church without being fed or helped in any direct way. Sermon 2: Christian Life Instruction. The preacher preaches instruction for the Christian life. Good. Problem is, a significant number of those present in the morning sermon (Gospel) are not there in the evening. But for those who are, surely this is helpful? In some ways, yes. But the separation is problematic. Now we are told what our duties are and how we should handle the difficulties of life and what our thoughts and actions should be if trained by Scripture. The separation means that the preacher does not apply the gospel to the believer, but gives instructions to the insider. There are problems with both of these sermons. Technically the preacher may be right in most of what he says. But the problem with the Gospel message in the morning is that he seems unaware of his audience. Most are already believers and the presentation treats them as “already in.” Consequently they can only hope someone is present who needs to hear the message. Yet the gospel should be relevant to believers too. In the gospel message the believers could and should be engaged by what is presented. In the Christian Life Instruction message, the gospel could and should be a defining feature. Do we think that having believed and entered in by faith, that we now will grow to maturity by our own diligent obedience? Check Paul’s thoughts on that approach in Galatians 3:1-3. No, the gospel is relevant to all and it is by faith from first to last. Perhaps we need to grasp our privilege of proclaiming good news and proclaiming good news: gospel proclamation and gospel-shaped Christian life instruction!